The decision to renovate a kitchen, bathroom or other area that requires cabinets isn’t one to be taken lightly. These kitchen cabinets or bath vanities will be with you for years, so make sure you pick a cabinet company that provides not only an excellent price, but an excellent product. Don’t just pick the big box store downtown or the fly-by-night Internet store that came up in the search results. Take time to research individual companies and find out which ones are worth your time and which ones aren’t. It’s one thing to provide cheap cabinets, but it’s another to be so inexpensive that you think something might be up. If you’re doing your research and one company is selling cabinets at a price so low that it seems ridiculous, then they’re likely using an inferior product that will not last over time. 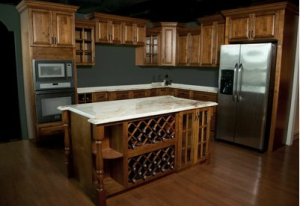 Kitchen and bathroom cabinets are made by many different companies and some use cheaper materials than others. We only provide quality cabinets, but you’ll find other companies selling cabinets that start falling apart after a few years. Veneer will begin to peel, screws in cabinets will get stripped and so on. Providing competitive pricing is one thing, but if it looks too good to be true, then it probably is. There’s a reason they say “buyer beware,” so if the price makes you do a double-take, then it’s likely not a quality product or a reputable company. When a company provides a good product and excellent service, they get a reputation. What’s great about reputation is that it comes from the people who receive the service and not from the company. Check out the online testimonials on the company’s website, reviews on online sites and listen to word-of-mouth. Ask friends and family with whom they have dealt in the past and which companies they recommend. Why is reputation important? Companies with a bad reputation receive that for a reason. The occasional bad review is one thing, but a consistent negative rating means the company hasn’t treated their customers well, did not provide good service or provided an inferior product. When choosing a cabinet company, make sure they’re well respected by the public and the people they serve. How a company treats you before the sale is a good indication of how they will treat you after the sale. Contact the company by phone, email or in-person and take notes on how they respond. If they respond quickly, provide information that is useful and do so in a courteous manner, then that’s likely how they’ll treat you after the sale. 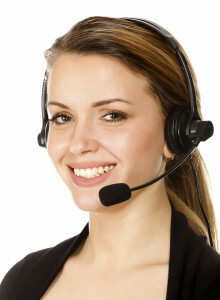 Customer service is a good indicator of the overall abilities of the company. You want someone who treats you right and takes the time to meet your needs. If you want gray kitchen cabinets, then make sure they tell you what’s available. If they are rude and disrespectful, or don’t seem to know what they’re doing, then you might want to find someone else. RTACabinetstore.com is one of the leading online cabinet companies. Explore our site and see what we have to offer.